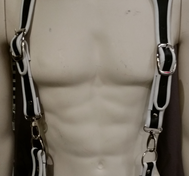 This is a very durable and incredibly handsome leather harness, made as suspenders! This is a very solid and good-looking harness in real leather with an amazing feel to it. This is a very solid and good-looking harness in real leather with an extra finesse! 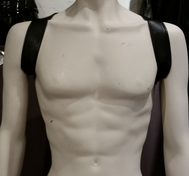 This is a very solid and good-looking harness in real leather with an extra twist!